Charming cottage built c.1800, furnished with good taste and comfort in mind. Well equipped with colour TV, carpets, large garden and car parking. Wood burning stove for warm winter breaks. 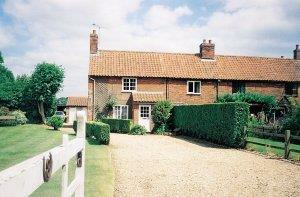 Ideal for exploring the beautiful Norfolk area, 8 miles to the coast. Sleeps 4 plus cot. Open all year.